Should gamedevs help localizers doing their job? A live example. Game developers often aim for great localizations, while trying to invest as little effort as possible. However, helping translators is crucial for success, and here is a live example. 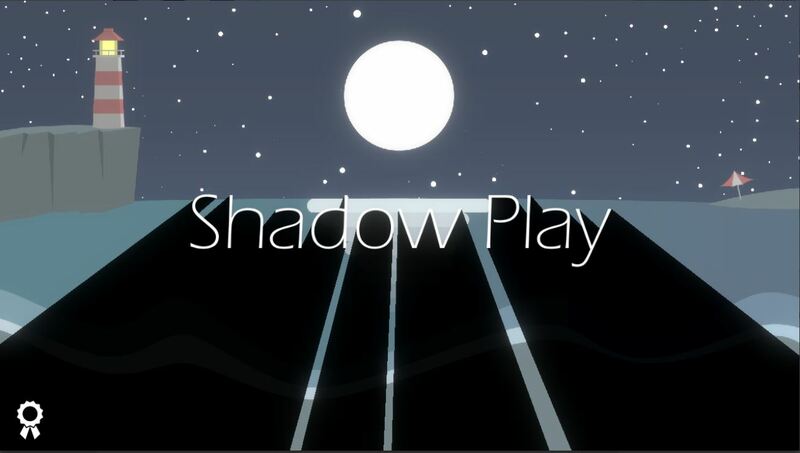 Shadow Play is a puzzle game for PC and Android, which I translated from English to Russian. You play with light and shadow and roll a ball through a stage to collect the stars. The game offers majestic soundtrack, 100+ stages and unique mechanic. When a translator works with a game text, not everything is clear from the context. A translator doesn’t see the game and can understand something wrong. When he meets a short string from game menu or UI, nothing is clear at all. I came upon a string with a text: “Speed bump”. As far as I could guess, it was something related to speed restriction: a kind of a brake, or a force slowing a ball, or even an obstacle placed on the ground to decrease a ball speed. I tried to read upper and lower strings to get more context, but got nothing. A problem has arisen. Wrong translation could have bad consequences. 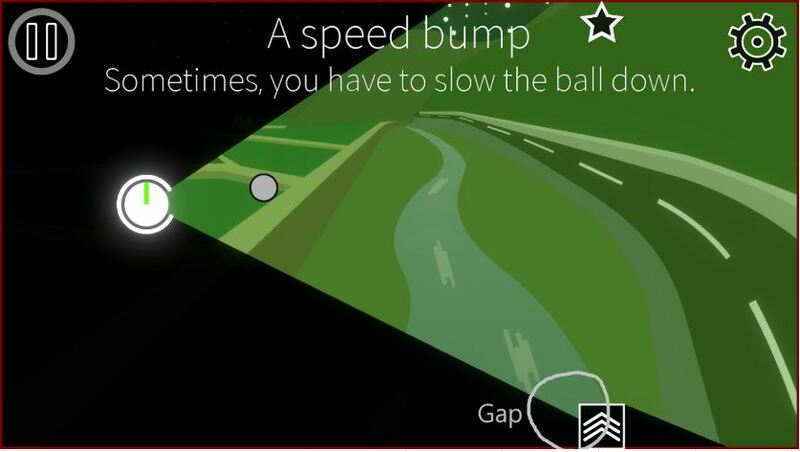 If “speed bump” had been an obstacle on the ground, while being translated as a “break”, players would be confused. Just imagine: a game is telling them about “breaks”, but they don’t find any. They fail to find any breaks and fail to complete a stage again and again. And they tell you: “The game is broken! Give me my money back!” How could I solve the problem? In such situations translator asks questions – one question for each problem. I highly recommend to answer them all, and to explain everything, as if you explain it to a child. And that’s what my partner Han Jaehee has done. He gave me a comprehensive explanation with a screenshot: “speed bump” is an obstacle on the ground, it decreases a ball speed. Screenshots help a lot. You see – I didn’t only understand the context, I saw the picture with my own eyes. There was no way for me to get the answer wrong now. I advise you to answer all questions, answer them promptly and in a very detailed way. If you think that there is a chance of misunderstanding – attach a screenshot. Invest some time in this, and you won’t lose money on wrong translation and frustrated players. Posting questions is a work, translators are payed for. If I don’t understand something or if I have a doubt, I post a question. However, there is a trap here. First of all, there is always a chance of misunderstanding. A translator may be sure in his translation, but he may simply get it wrong. As a result we have confused players. And there is a second, psychological trap. Posting and reading answers costs time, but translators are actually payed not for the time spent, but for words translated. It means that when there are too many questions to ask, or when a translator is tired, he has less incentive to post questions and more incentive to “guessing”. To prevent this, I encourage developers to create “comments”. My partner Han looked through a game text and created comments for almost each string. Some comments were short, some were long, and some contained screenshots. His comments saved me a lot of time and energy, and I invested it back in improving readability, style and overall quality. I had a string with a text: “Bloom”. I could hardly understand, what it was supposed to mean, and I was going to post a question. But then I read a comment: “Bloom means glowing effect”. And there was a screenshot attached: the text is from Options, and clicking on “Bloom” you can enable glowing effects. All is clear, thank you Han! I recommend devs to look through a game text, to find strings, which are hard to understand without context, and to create comments for them. You will save translator’s time for asking questions, as well as your time for answering them. In return, a grateful translator will spend this time to improve his work. Another good decision is giving a game to a translator. He will find most strings by playing your game and will ask less questions. This will also prevent misunderstanding and help a translator to better stick to the atmosphere of your game. Giving a Steam key will cost you so little time, while helping a lot. I had a string with a text: “You can check the limit with the gauge on the left”. According to a context, a player could stop a ball, but only for a limited number of times. The problem was with a word “gauge”. I didn’t understand, how that “gauge” looked and how to translate it. The only way to find it was to play the game, so I ran the game and found the “gauge” in the upper left corner. It looked like a sphere, divided into several parts. When I stoped the ball, a part of the sphere disappeared. When all parts faded out, I lost the game. I translated the word as a “sphere” and was quite happy with it, but then another problem has arisen. The same thing was previously mentioned as “a button” – clicking on it you could make a ball roll. 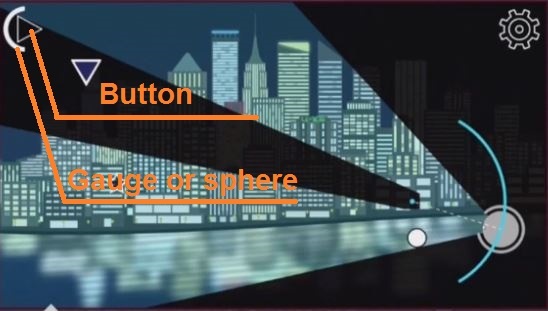 So I had a “button”, a “sphere” around that button and two terms to translate: a “gauge” and a “button”. What to do? How not to confuse players? Finally I named a “gauge” a “button”. It was a simple decision, but without playing the game and seeing that “gauge” in real it would be impossible to do. If the game runs on several platforms, it’s better to give a translator all game versions. Each platform has a different control scheme, and each game version may have a slightly different UI. When a translator tests game controls and includes his live experience into translation, it greatly improves the quality. 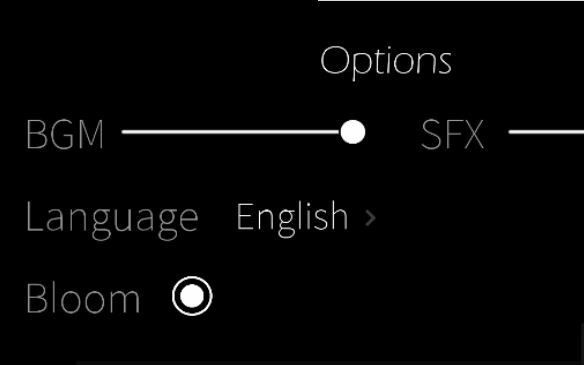 “Shadow Play” was made for PC and Android, and there were two strings for controls and UI: one for PC and one for Android version. Han gave me both game versions and helped me avoid many silly mistakes. Conclusion: if you want to get a great game localization, do as much as you can to help your translator! Provide him with a game client; add comments to strings, if a text may be hard to understand without context; answer all questions in a timely and detailed way. Save translator’s time and effort, and he will spend it to improve the quality. I wish you great localizations and high profits!